We all know the end of the year can be a busy time. 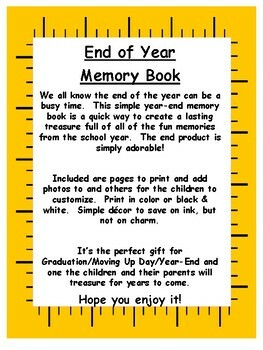 This simple year-end memory book is a quick way to create a lasting treasure full of all the fun memories from the school year. The end product is simply adorable! 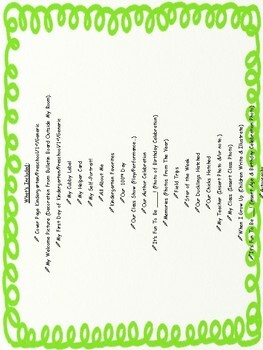 Included are pages to print and add photos to and others for the children to customize. 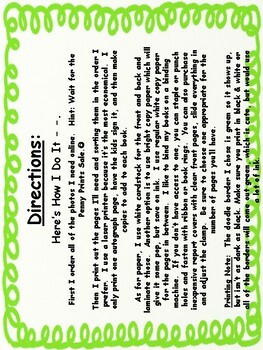 Print in color or black & white. Simple decor helps to save on ink, but not on charm! 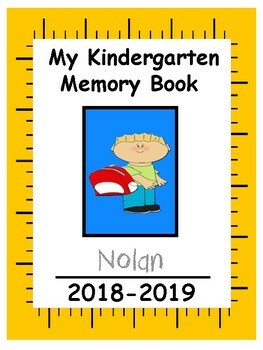 It’s the perfect gift for Graduation/Moving Up Day/Year-End and one the children and their parents will treasure for years to come. Hope you enjoy it!